Thanks for all the comments and thank you’s — really makes it all worth it for me. This weekend, I’ve spoken to a ton of people, and have been asked several more questions following up the earlier “article” that I wrote. I tracked down the answers, and thought you’d like to know them. Feel free to forward to whoever you’d like. Q: What is going in on Townsgate down the street from Gelson’s? A: This is not City of Westlake Village, but it is the Thousand Oaks side of Westlake Village. There are 3 more office buildings going in there, that are supposed to be 450,000 to 500,000 sq. ft. or more. The access to this is off of Westlake Blvd. The traffic is not expected to go through the city of Westlake Village. Q: What happens if Lowe’s wants to leave, like the Kmart did? A: By voting yes, we change the zoning. If Lowe’s wanted out, a new developer could come in and continue to use it for retail and restaurants (not offices). They would have to stay below the cap on sq footage (about 225,000 sq. ft. for Lowe’s … by contrast the office building can build up to 376,000 sq. ft.). So, as an example, UNLIKE the Kmart building, the Lowe’s building could be torn down and rebuilt as retail and restaurants without the property losing it’s entitlements. 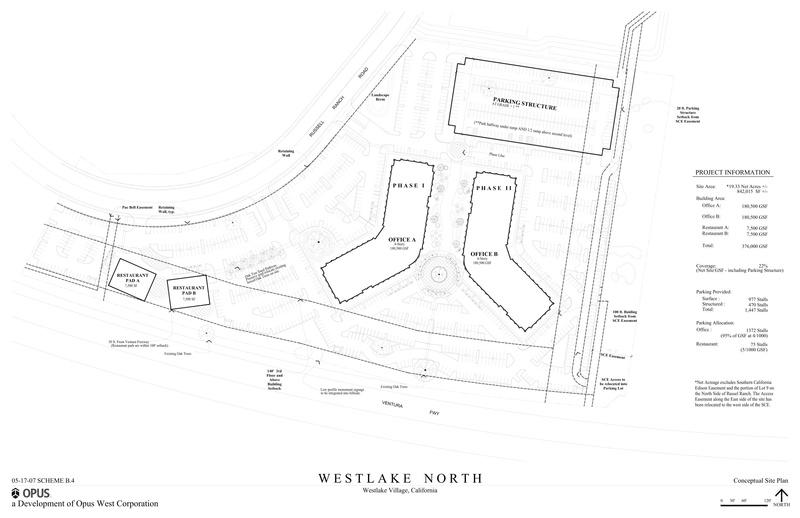 They would still have to stick to the rules of that property outlined in Z, as well as the overall rules of Westlake Village. The only way the zoning can be changed again would be through a ballot measure. The city council will NOT be able to change the zoning. Q: You speak of plans for an office building that are already in place. What does that look like? A: Since those plans were informally presented to the Land Use committee, they are not yet part of the public record. I’ve spoken to people with the city that have seen the plans, and the plans that Opus presented had 3 four story office buildings, and parking. Those buildings could house restaurants, but wouldn’t be required to (just as the IDS buildings are). Q: There’s a mailer out there that speaks of my property values going down if Lowe’s goes in. What’s up with that? A: I’ve contacted the person that created that mailer, as well as other real estate people. In short, the comment is made based primarily on the Renaissance development, as well as some other developments around. – Renaissance properties, and some of the townhomes/condos in close proximity to the the 101/Lindero interchange may or may not be affected. Some would say that they have not appreciated as much as the single family homes in the area. Others would say that this has nothing to do with development. All have apprecaited, the question is how much, and how much they decrease as the economy softens. – No one has presented a single fact that single family homes would increase or decrease with a Lowe’s nor an office building. Hope that all helps! Great questions! DON’T FORGET TO VOTE! Your vote counts!